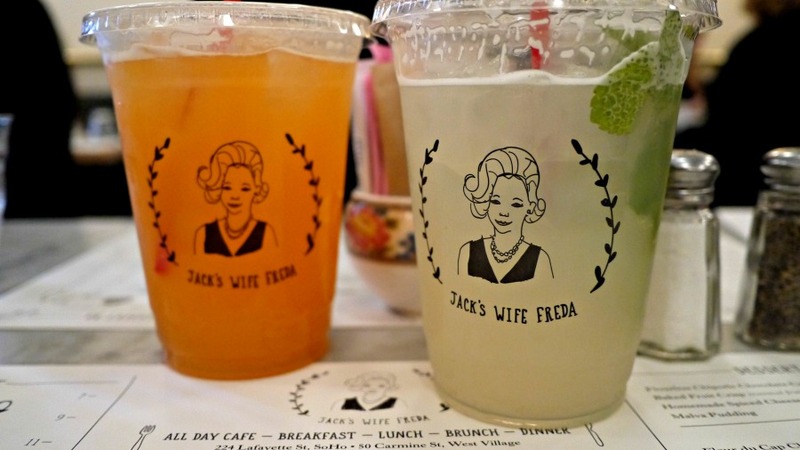 Jack's Wife Freda, Soho NYC. 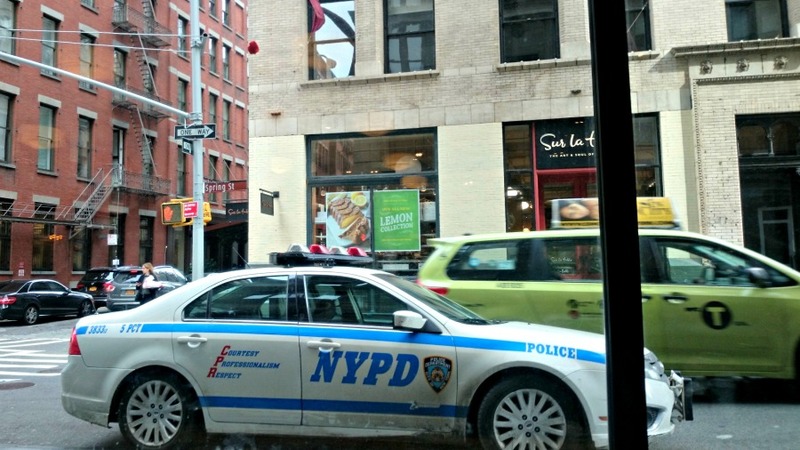 You can't really go to New York City and not go somewhere for breakfast or brunch. 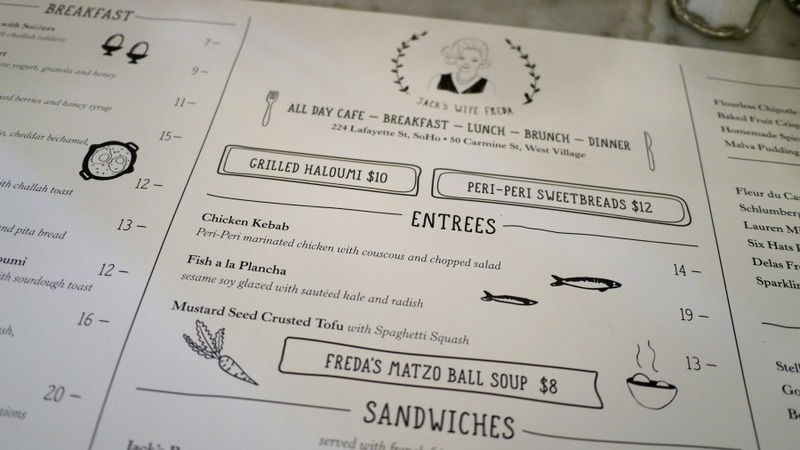 Jack's Wife Freda is probably one of the busiest and most famous breakfast spots in NYC, it's on the majority of the 'best breakfast in NYC' lists, and we had to wait 45mins for a table on a Sunday morning. So was it worth it? Heck yeh it was! Yes, those are all people standing outside waiting for a table! I was actually gonna write this post yesterday, but then I fell asleep at 5:30pm, and woke up at 8am this morning. I had a pretty exhausting night on Friday; we went to the Savile Club for drinks with the guys as Peter was back from Geneva, and didn't end up getting to bed until around 3am. After a busy week and Friday's drinks, I really needed all that sleep last night. It did mean I missed my friend's birthday though and dinner with another friend - waaa. Anywho, Jack's Wife Freda. Ah yes. It was basically bloody awesome. Anna and I got the Langham Place house car down to the Lafayette St branch in Soho at around 10am, and with a queue already out the door we added our name to the waitlist and wandered round the corner to Starbucks to use their wifi. The lovely staff at JWF had told us it would be around a 45min wait, so it gave us the perfect opportunity to grab some sugary goodness and check emails/upload photos to Facebook etc. I spotted a Butterscotch Cream Frappucino on the menu, and as I don't have Frappucino's very often due to the insane sugar content, I decided to treat myself. It was ah-mazing. My beaut stacking rings are from Ted Baker. After 40mins or so we wandered back round the corner to Jack's Wife Freda and our table was ready for us! I chose a Mint Lemonade ($5) while Anna chose the Fresh Cantaloupe Juice ($5), and we tried to decide what to have to eat. The Israeli cafe has one of those menus where everything sounds delicious, so I struggled to choose between the Rosewater waffles ($11) and the Poached Eggs with Grilled Tomato and Halloumi ($12). As I'd had waffles at Sarabeth's on Friday, I thought I'd go for the poached eggs to mix things up a bit. 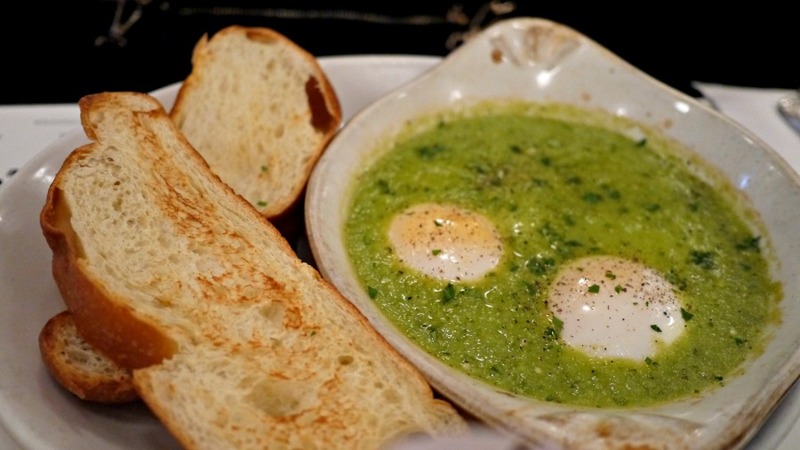 Anna opted for the Green Shakshuka ($12), which was two baked eggs in a green shakshuka served with challah toast. She absolutely loved it and said it was 'so good dude'. So it must have been good, coz that girl is fussy when it comes to food! My poached eggs with grilled tomato and halloumi was super satisfying, and I'm so glad I chose it! Just look at those perfect runny eggs! 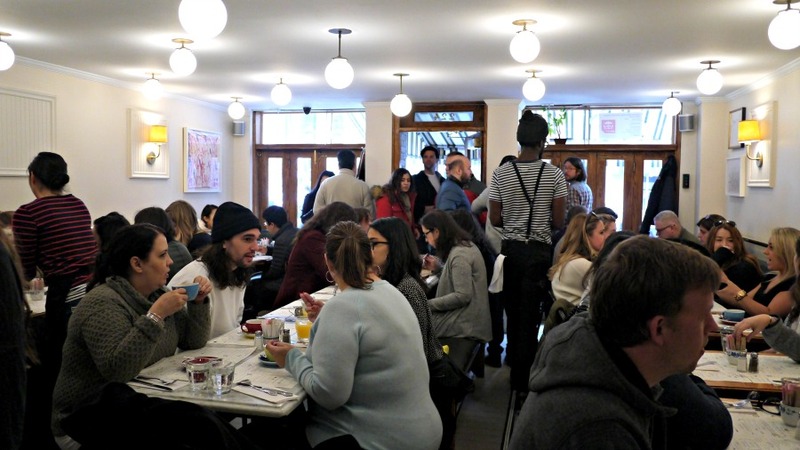 The cafe was so busy and I loved the atmosphere; it was full of friends and families catching up over Sunday brunch. The woman sat next to me had the waffles and they looked ah-mazing, so next time I'm in NYC I'm definitely getting those! 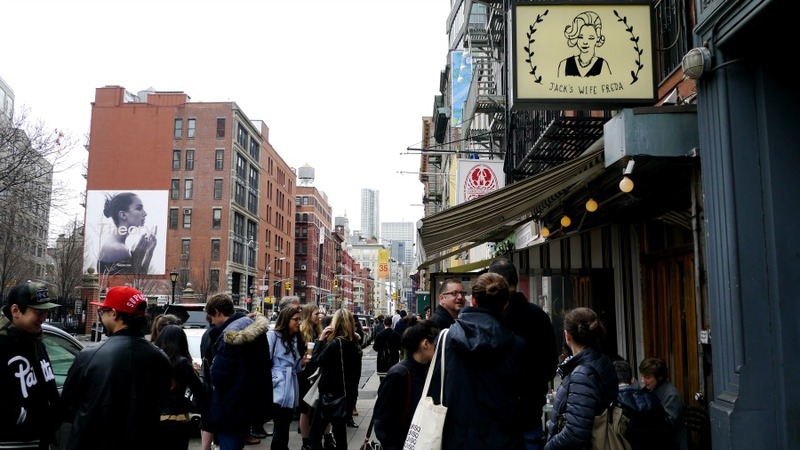 What's your favourite New York brunch spot? Sometimes queuing is just worth it! Adding this to my list for when I'm next in NYC. Which hopefully is soon! Gahhh I miss NY and I miss a good brunch! And I like the ridiculously sugary frappuccino flavours you get outside the UK. 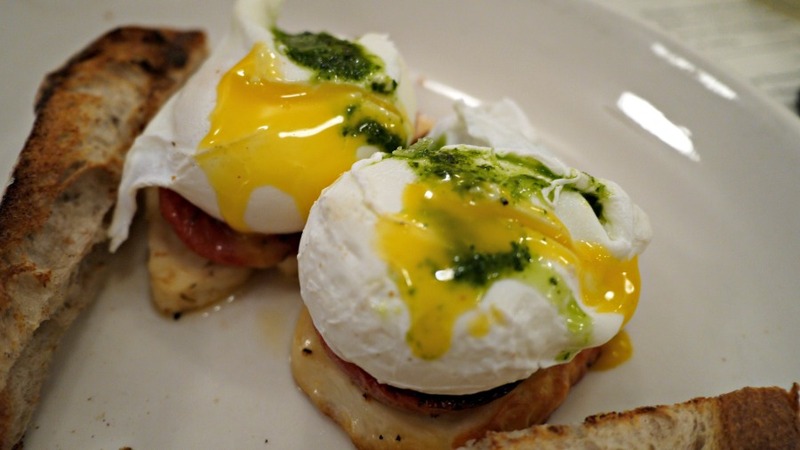 I like Sarabeth's and Balthazar jazz brunches (the NY outpost is so much better than the one in Covent Garden!) and I also like Sotto13. Oooh everyone raves about this place, I have to try it if I go back to New York one day! I'll definitely have to try this place when I head over this Summer! 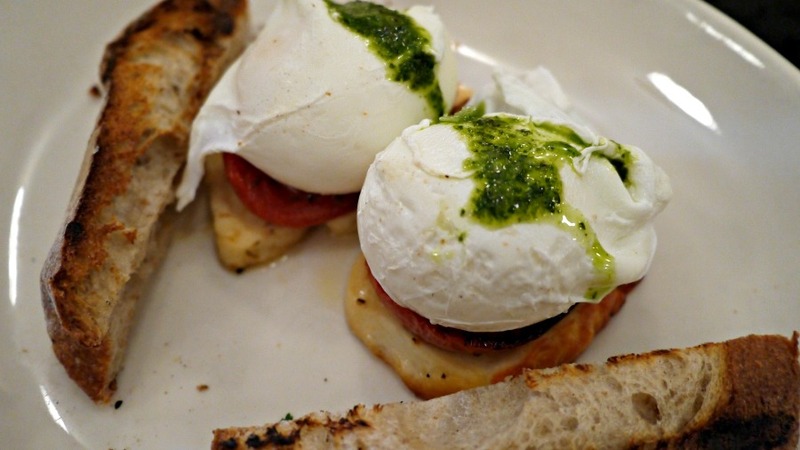 Those eggs on halloumi sound and look incredible. Great post, the food there looks amazing! Some amazing #yolkporn here! I've heard about this place before - really need to visit next time. My favourite brunch spot was Cookshop on 10th Avenue just by the High Line. I've heard so much about this place! I love the name and now dying to get there even more!! I like the sound of the fresh cantaloupe juice and what a great name for a cafe! Yum! America does breakfast so well and NYC even better. Have to remember this place.